KFM’s KDay returned once again for 2015, changing locations from the winelands to the smaller Sahara Park Stadium in Newlands, making the festival more easily accessible to its Cape Town fans. Despite a scorching 30 degree day directly under the sun, the stadium was brimming and KDay proved to be well worth a dozen reapplications of sunblock. Queues snaked back from the gates from as early as 7am, whole familes armed with picnic blankets and cooler boxes, clearly keen not only to get a good spot but to stay until the last act at 8pm. There were food vendors and a kids’ activities area under the shade of a large Capri marquee. With some excellent South African artists included in the lineup, it was still a surprise to feel the energies of some of the lesser known musicians. Former Idols season 6 contestant Lloyd Cele in particular was a real icebreaker, flipping the switch from ‘gentle picnic fest’ to ‘vibey concert fest’. On the other hand SA pop band Beatenberg, who owned 2014 with hits ‘Pluto’ and ‘Rafael’, didn’t get the best out of the crowd. They have great music and are skilled musicians but although their frontman, Matthew Field, has a soulful voice, he seemed unenthused and his slow energy permeated through the crowd. DJ Kent brought the house down as did long-awaited act Mi Casa. Other acts included alternative pop artist Jimmy Nevis; boogie/vaudeville royalty Goodluck ; indie rock band Reburn, who have recently launched their debut album; singer-songwriter Matthew Mole, whose singing and music abilities are beautiful but slowed the festival pace; rock band MonArk; and seasoned SA bands Prime Circle – who brought the St George’s Grammar School choir to perform with them – and Mafikizolo who made sure our final glimpse of KDay 2015 was smashing. Everything was well organised with all the artists performing precisely to schedule. Short artist interviews were conducted by some of the KFM on-air DJs after performances and could be watched on the screens around the stadium. 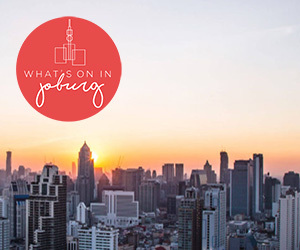 As a Capetonian, I was delighted that the stereotype of Capetonians as ‘chronically unpunctual’ was finally being challenged… but then again, the show was being streamed live in Joburg. The spot on precision of the organisers had the crowd relaxed and happy, and the easy-going vibe and the great music will be sure to reel in more loyal festival goers in 2016. KDay took place at Sahara Park Stadium on 28 February 2015.